Vishal has have over 20 years of experience in trading. Vishal is a qualified chartered accountant and has been with the firm since its inception. Vishal heads our trading desk that is well know for its capability of handling large, complex transactions for FIIs as well as domestic institutions. Sujan is a well ranked economist who has authored a book and several articles in referred journals. 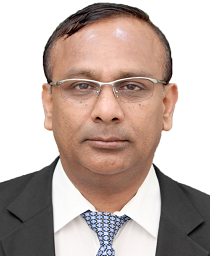 Prior, Sujan worked at Reserve Bank of India as Director. Sujan is rated among top-20 analysts (Asia ex Japan) in Institutional Investor (II) Poll, 2010 as well as #1 Economist among domestic brokerage houses; and #2 overall among Indian economists by the Institutional Investor Poll 2010. Sujan holds a masters in Philosophy from the Jawaharlal Nehru Institute. Mr. Shirish is highly recognized and ranked analyst who tracked consumer and retail sector for seven years. He comes with an industry experience of 18 years largely with Colgate in marketing, sales and business operations. An MBA from Mumbai University, and Lancaster University, UK, Shirish is rated among top 20 (Asia ex Japan) by Institutional Investor (II) Poll, over 2010, 2011, 2012 and 2013. He is also ranked as #3 overall among Indian consumer analysts by the Institutional Investor Poll 2010 and 2011. Over years he was promoted Executive Director - Head of research and recently as Head of sales.